The best cameras ultimately top the charts owing to the features, flexibility and the money value they provide to the users. In the present market scenario, each manufacturer be it Nikon, Canon, Sony, Olympus is ready to serve the end-user not only with better image quality, they are more oriented towards providing competitive features too. All the manufacturers are working on the cutting-edge technology to provide nothing less than the best to the users. 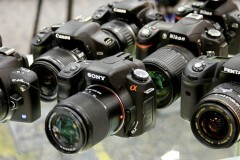 Here is a list of top 10 best selling DSLRs this season (majorly dominated by Nikon and Canon). 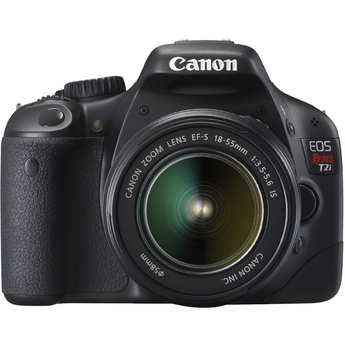 Canon EOS Rebel T2i tops the chart owing to its intuitive design (the trend following the EOS series) which makes it easier for the photographer to use the various features provided by the camera instantly. The other features which contribute in making the camera top the charts are: lightweight DSLR offering 18 megapixels, increased light sensitivity, advanced HD movie mode and auto lighting optimizer; which results in getting brilliant photos and videos effortlessly. 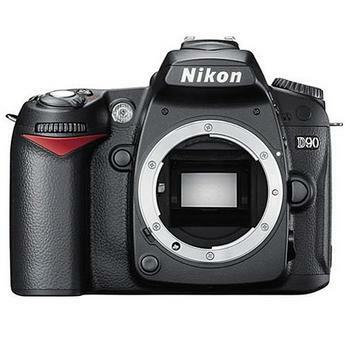 Nikon D90 remains an all time favorite for the photographers (who prefer Nikon over Canon). 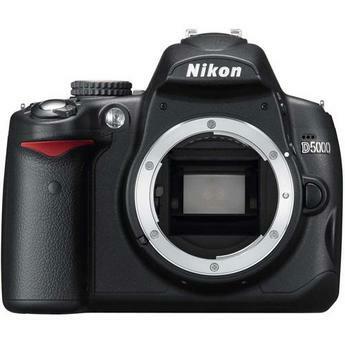 It is widely marketed as the camera with stunning image quality offering broad control and is the world’s first digital SLR offering the movie function. The advanced features offered by the camera like in-camera retouch menus including several new retouch options such as distortion control, straighten and fisheye; enable it to top the charts every time. 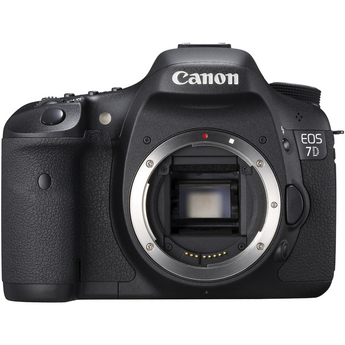 Canon EOS 7D is an enhancement of its sibling Canon EOS 5D MarkII. This 18.1 megapixels camera features CMOS sensor (as is the case with all the latest DSLRs) and Dual DIGIC 4 image processors for high image quality and speed. The camera is designed to cater to the needs of the professionals and to provide creative freedom to semi-professionals. The camera features an intelligent viewfinder which provides approximately 100% frame coverage and displays grid lines on demand, which comes in handy for composing the frames effectively. 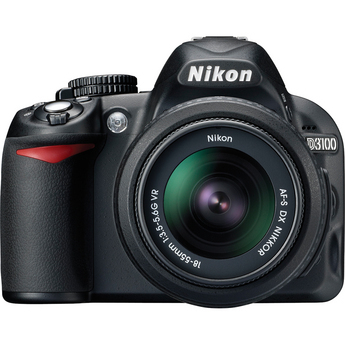 Nikon D3100 provides nothing less than best on the fronts of image quality and ease of use, this 14.2 megapixels camera offers features which enables wireless transfer of images & videos (termed as Eye-fi support) and provides an easy way out for sharing and storing the photographs online with myPicturetown. Canon EOS Rebel T1i claims to offer an un-compromised digital performance with power and flexibility right in the palm of your hand. 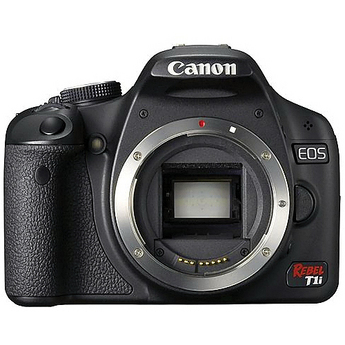 Canon EOS Rebel T1i, like every other camera lined up in Canon EOS series, features CMOS sensor, DIGIC 4 image processor and dust deletion feature. This 15.10 effective megapixel camera is relatively easy to use for beginners and provides the underlying Canon benefits to the professional photographers. Nikon D5000 is a 12.3 megapixels camera which features an all new vari-angle monitor providing approximately 100% frame coverage. It is one of the entry level DSLRs from Nikon which features CMOS sensor which makes it a great value for money photo-gear. Canon Rebel XS is a nifty Canon surprise for the photography beginners. This 10.1 megapixels camera provides easy to use controls, a compact design, a 2.5-inch LCD monitor and a Live View function; all of which contribute in simplifying the camera usage for the beginner. 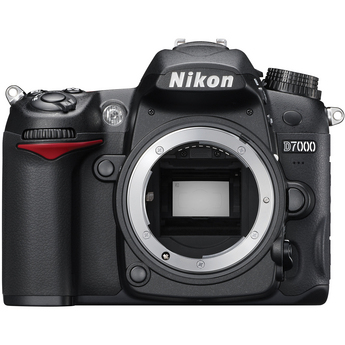 Nikon D7000 is the recent addition in the Nikon family. It is a perfect solution for anyone who is planning to upgrade. Its design and technology is aimed at making photography simple. It offers all the bell & whistles associated with Nikon along with certain enhancements and advancements in the technology. It features all new EXPEED 2 processing engine and newly developed AF system featuring 39 focus points to result in a better image quality and high image processing speed. 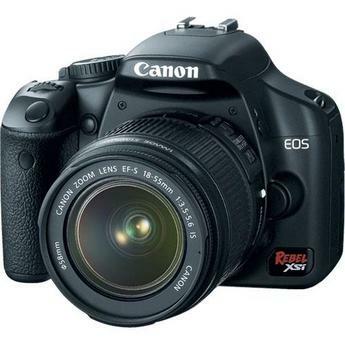 Canon Rebel XSi is a 12.2 megapixels camera which claims to offer infinite possibilities to the users. 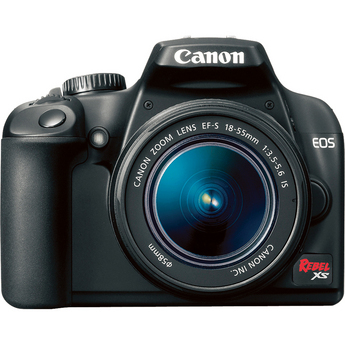 Canon Rebel XSi is a DSLR which offers the best of both the worlds — the ease of point and shoot cameras and the advanced features of a high-end camera. 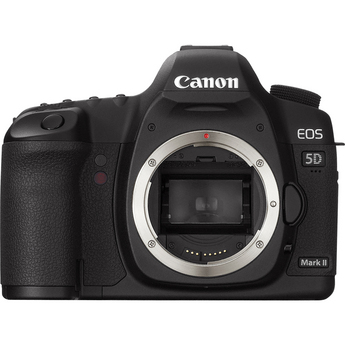 Canon EOS 5D Mark II is an excellent photo-gear for beginners as well as for the professionals. This 21.1 megapixels full-frame camera is favored by the photography enthusiasts over other cameras owing to its super fast processing, extended tonal gradation, outstanding color reproduction and unmatched image quality even in low-ambient light. Well, we’re referring to the best-selling and not conclusively about “the best”. I notice that these are listed as “best sellers”. It’s obvious they cannot necessarily “the best cameras”. Users would do well to purchase a camera dictated by their individual needs for the particular field of photography the camera will be used in. And that camera could be the “best camera” for them individually. Guess I’m still old school, but if I were doing professional work now, my cameras would include one or two versions of Leicas, same with Hasselblad, an 4×5 outfit, an 8×10 view, all with good lenses and shutters. But then, my main field of work was in industrial photography. But I also did weddings, and other social events, as well as news work, and illustrative photography. For those not planning on making a living with their camera, but want to enjoy taking pictures, then just look for the camera that will suit your own needs. But be sure to get one with a GOOD LENS! Can’t get good pics without a good lens!